If you’re looking for the best deals on the Huawei P30 Pro or Huawei P30, you’re in the right place. The Chinese tech company’s stunning new smartphones are at last on sale, and new P30 and P30 Pro deals are coming in thick and fast today. Our team is searching through all the offers to bring you the best tariffs and SIM-free prices in the comparison chart below. So what's all the excitement about? Well, if you liked the Huawei P20 Pro camera phone, you’ll love the new Huawei P30 Pro. Furnished with a unprecedented four-camera system – with a 40MP SuperSpectrum camera, f/1.6 wide-angle camera, phenomenal 5x lossless optical zoom and an AI-driven hybrid 10x zoom – the new flagship also boasts a 6.47-inch OLED display, much better battery life, wireless charging and a whole lot more. It's a genuine competitor to the Galaxy S10 and iPhone XS. There's a huge amount of choice when it comes to Huawei P30 Pro deals. If you're not sure which contract offer is best for you, we can help. Here's our pick of the best Huawei P30 Pro deals in the UK right now. 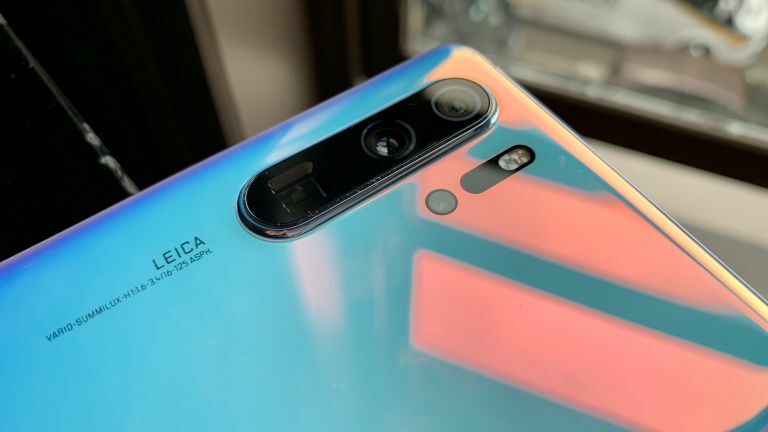 Huawei P30 Pro price: How much does the P30 Pro handset cost to buy SIM-free? The launch price of the Huawei P30 Pro handset is £899. That makes it cheaper than the Apple iPhone XS, which usually costs around £999 SIM-free, and matches the RRP of the Samsung Galaxy S10 Plus at launch. The Huawei P30 Pro is a seriously impressive piece of kit. Boasting a gorgeous dual-curved design on the front and back, it's a well-made smartphone that feels as premium as it looks. But we’ll start with the headline feature. That impressive quadruple-camera throws down the gauntlet to other smartphone manufacturers, with its improved optical and hybrid zoom letting you capture photos you just can't get with any other phone. On the front, Huawei has increased the size of the screen from the P20 Pro’s 6.1-inch panel to a 6.47-inch FHD+ resolution OLED with a 19.5:9 aspect ratio. The display is colourful, vibrant and pin-sharp. Meanwhile, the P30 Pro takes on Apple with its powerful Kirin 980 chipset, a minimum of 128 GB storage and a hefty 4,200mAh battery – so it should last even longer than the Mate 20 Pro (which we already thought was impressive). We were bowled-over by the P20 Pro – but the P30 Pro looks like it’s raised the bar again. The impressive entry-level Huawei P30 inherits everything we loved from the pricier P20 Pro model – and offers it in an upgraded form. The impressive triple-camera and 3x lossless optical zoom is joined by the faster Kirin 980 chipset and Huawei’s intelligent AI system, which takes your photography to the next level. It’s also cheaper than the flagship Huawei P30 Pro – and it returns the 3.5mm headphone port to its rightful place too. Need some help choosing the right P30 deal? We've spent a lot of time trawling through the offers – here are our favourites. Huawei P30 price: How much does the P30 handset cost to buy SIM-free? If you were tempted to invest in the Huawei P20 Pro's impressive triple-camera and 3x lossless optical zoom, it’s worth now instead opting for the P30 – which delivers an upgraded version of the tech. The P30 is a premium product, with a colourful dual-curved display that wraps around the front of the device, and the latest operating system – dubbed EMUI 9.1 – powering the device. It also has a bigger 3,650mAh battery, so it’ll last longer than the P20 Pro, and Huawei has brought back the 3.5mm headphone port. Lovely stuff. You can get SIM-only deals for almost any phone, but you’ll find the biggest savings compared to contract deals when you’re looking at high-end handsets such as the Huawei P30 Pro and P30. By purchasing your phone and SIM separately you can save huge amounts of cash – not least because SIM only deals tend to offer more options. There are four key things to consider when you’re comparing SIM only deals: price, data, inclusive minutes and contract length. Look at how many minutes you use, how many texts you send and how much data you download, and then focus on deals that provide the right amounts of each. Always look at the small print. Here are today's best SIM-only deals to pair with your Huawei P30 Pro or P30.